I take my gaming and my drinking very seriously. 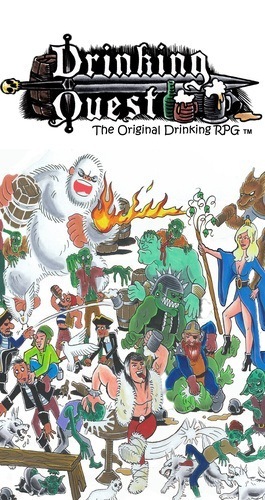 You have to when you’re on a podcast with the tagline, “Pursuing the RPG Hobby with Reckless Abandon… and beer.” Perhaps because of this, I was recently sent a review copy of Drinking Quest, an RPG card game designed to be played while drinking. In fact, the mechanics require you to be drinking. 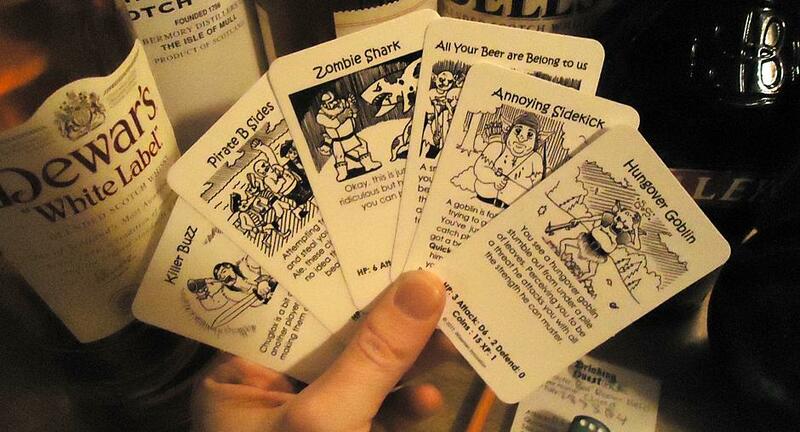 Drinking Quest is a very simple RPG by design, after all, they are expecting you to play while inebriated. The game is designed for two to four players. Everyone starts by choosing one of the four pre-generated character cards. These are all about equal power-wise, and have funny names and powers. I was a little disappointed that only one of the four characters is a very female character, but all the characters are very stereotypical to the point of being crude satire. The characters are really basic, with no armor, low stat numbers, and simple attacks. Again, I assume the designers were trying to keep the math simple for Drinky McDrinkerson and his buddies. After you kill off some enemies you can collect gold to buy some simple items to improve your defense or attacks. 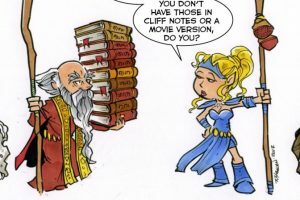 There is no DM/GM, and each player draws a card to see what opponents or challenges they will face. They player rolls against another player who represents the baddy if an opponent is drawn, or the player rolls all three dice if it’s a stat challenge. Combats are simple and usually over in a few hits. It really reminds me of a simplified version of the DnD boardgames, like the Legend of Drizzt. It’s a great little system that doesn’t put responsibility on any one player. Everyone is able to just relax and enjoy themselves. One thing that is lacking in Drinking Quest is a healing system. The game is designed to have your character die, then you chug your drink to get them alive and back to full health the next turn. It sounds like it would be really fun, however it seems that characters almost never die in Drinking Quest. We played a few times and only a handful of chugging instances occurred. This seemed to be the main drinking component in the game, so we were a little disappointed that it happened so rarely.This isn’t exactly a bad thing, especially if your just looking for something to play when your GM calls in sick, but if you’re looking to get wasted this may not be your game. Try Beer Pong. My group ended up house ruling a healing mechanic that involved taking a big swig and getting a hit point back. (We just weren’t getting drunk fast enough apparently!) This may only be a good idea if you are drinking beer, because a home brewed healing game with shots might kill someone. The cards are clever and entertaining. They are some real zingers in there that will crack up the whole group. The challenges are amusing and it’s nice that everything is drawn randomly so that every time you play the adventure changes. I was very worried about the “sexual prowess” stat when I first looked at the character cards, but it’s used in an amusing and not a gross way (phew!). 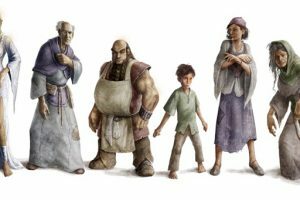 The artwork, by Carole Nelan, is well done and perfect for the feel of the game. It requires three dice, the game cards, and character sheets. The game is very high quality, with professional level cards, disposable character sheets on a pad, and a color printed box. The package design is excellent, and all of these items fit into a slightly larger playing card box. Seriously, I have both Drinking Quest and Drinking Quest 2 in my purse right now. I really appreciate that type of compact design in my games and gaming books. For $22 a pack the price is a little steep in my opinion. 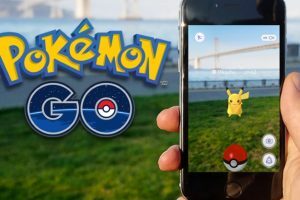 We had a good time with the game, and if you think you’d have the opportunity to play a lot, it could be worth the money to some gamers. If you will be playing with the same group over and over again, I’d suggest buying Drinking Quest 2 in addition to the original. 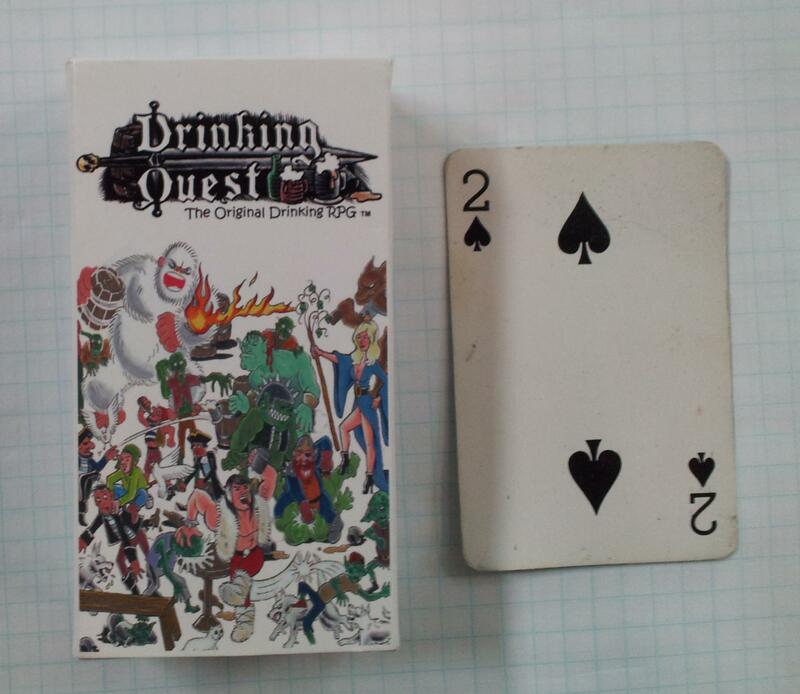 It is a stand alone game, not an expansion, but you could mix up the adventures and PCs with the original Drinking Quest deck in order to keep things fresh. And, as always, I am fully behind home brewing the rules to customize the fun for your group. 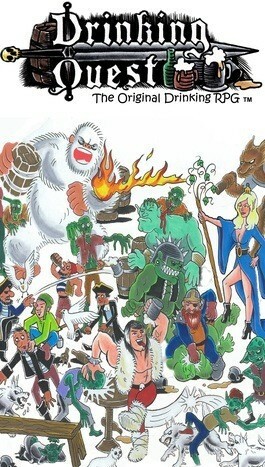 You can learn more about drinking quest and buy it at drinkingquest.com. Please, drink responsibly… or crash on someone’s couch.